Manly Beach is Sydney’s most iconic beach and considered an Australian Landmark. Located on the Northern Beaches of Sydney (just a 30 minute ferry trip from Circular Quay), it’s a favorite for many because it has it all: a combination of water sports (surfing, windsurfing, parasailing, kayaking, snorkeling and scuba diving) to coastal walks, beach volleyball, saltwater swimming pools, patrol beaches and buzzing bars, cafes and restaurants. Surrounded by it’s famous pine trees, it’s hard to choose what do to in Manly because there’s so many options of attractions. You can explore Manly on foot, rollerblade or bike, with pathways and coastal walks taking you further north to Freshwater Beach or around the headland to Shelly Beach, a lovely sheltered sandy cove with plenty of colourfull fish and different marine life. The other popular activity is the Manly to Spit Bridge Walk is 10 kilometres long and takes three to four hours to complete at a moderate pace. Along the way, you’ll discover parks, reserves and outstanding views of Sydney Harbour. And even if you don’t feel like being too active, you can simply sunbathe enjoying the relaxing and casual atmosphere Manly has to offer, it has the perfect life-style! It’s name was given by State’s first governor Arthur Phillip in 1788 for the impression made on him by “the confidence and manly behaviour” of the area’s Aborigines. 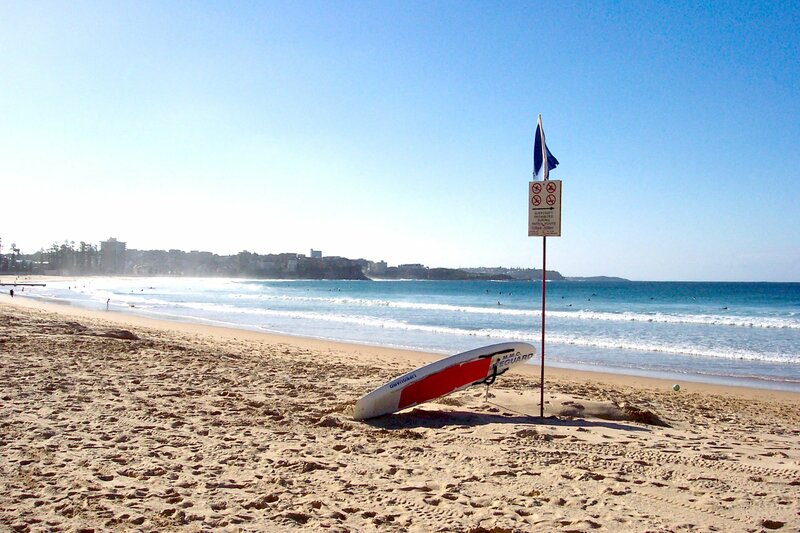 The three main sections of Manly Beach are Queenscliff, North Steyne – with it’s Surf Club marking the middle of the beach and South Steyne – the very Southern end of Manly Beach. Also, there’s the harbour side right next to the Wharf which is ideal for sailing, fishing, family picnics and enjoying a dip in the water without the waves. One thing is right: if you say Manly Beach, the translation is SURF. It’s a must do and Manly is the ideal place to learn to surf if you are a beginner, with surf lessons being held almost every day of the year from Manly Surfboards shop. Here, you can find the best surfboard hiring services and we they are located on Manly beach front close to The Corso. Make sure you enjoy your Manly experience at it’s maximum, as you will miss one of the most beautiful beaches in the world! @ 2018 Manly Surf Hire | All Rights Reserved.